How to write a political science essay or research paper? 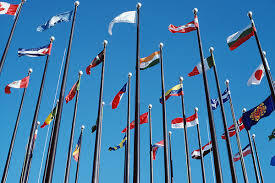 This page will help you to recognize and to follow writing standards in political science. The first step toward accomplishing this goal is to develop a basic understanding of political science and the kind of work political scientists do. American politics examines political behavior and institutions in the United States. Comparative politics analyzes and compares political systems within and across different geographic regions. 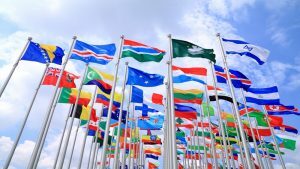 International relations investigates relations among nation states and the activities of international organizations such as the United Nations, the World Bank, and NATO, as well as international actors such as terrorists, non-governmental organizations (NGOs), and multi-national corporations (MNCs). Political methodology deals with the ways that political scientists ask and investigate questions. Public policy examines the process by which governments make public decisions. Public administration studies the ways that government policies are implemented. Public law focuses on the role of law and courts in the political process. Although political scientists are prone to debate and disagreement, the majority view the discipline as a genuine science. As a result, political scientists generally strive to emulate the objectivity as well as the conceptual and methodological rigor typically associated with the so-called “hard” sciences (e.g., biology, chemistry, and physics). They see themselves as engaged in revealing the relationships underlying political events and conditions. Based on these revelations, they attempt to state general principles about the way the world of politics works. Given these aims, it is important for political scientists’ writing to be conceptually precise, free from bias, and well-substantiated by empirical evidence. Knowing that political scientists value objectivity may help you in making decisions about how to write your paper and what to put in it. Political theory is an important exception to this empirical approach. You can learn more about writing for political theory classes in the section “Writing in Political Theory” below. In the research model designed to test this hypothesis, the dependent variable (the phenomenon that is affected by other variables) would be the reelection of incumbent presidents; the independent variable (the phenomenon that may have some effect on the dependent variable) would be the national unemployment rate. You could test the relationship between the independent and dependent variables by collecting data on unemployment rates and the reelection of incumbent presidents and comparing the two sets of information. If you found that in every instance that the national unemployment rate was greater than 7 percent at the time of a presidential election the incumbent lost, you would have significant support for our hypothesis. However, research in political science seldom yields immediately conclusive results. In this case, for example, although in most recent presidential elections our hypothesis holds true, President Franklin Roosevelt was reelected in 1936 despite the fact that the national unemployment rate was 17%. To explain this important exception and to make certain that other factors besides high unemployment rates were not primarily responsible for the defeat of incumbent presidents in other election years, you would need to do further research. So you can see how political scientists use the scientific method to build ever more precise and persuasive theories and how you might begin to think about the topics that interest you as you write your paper. Since political scientists construct and assess theories in accordance with the principles of the scientific method, writing in the field conveys the rigor, objectivity, and logical consistency that characterize this method. Thus political scientists avoid the use of impressionistic or metaphorical language, or language which appeals primarily to our senses, emotions, or moral beliefs. In other words, rather than persuade you with the elegance of their prose or the moral virtue of their beliefs, political scientists persuade through their command of the facts and their ability to relate those facts to theories that can withstand the test of empirical investigation. In writing of this sort, clarity and concision are at a premium. To achieve such clarity and concision, political scientists precisely define any terms or concepts that are important to the arguments that they make. This precision often requires that they “operationalize” key terms or concepts. “Operationalizing” simply means that important—but possibly vague or abstract—concepts like “justice” are defined in ways that allow them to be measured or tested through scientific investigation. Fortunately, you will generally not be expected to devise or operationalize key concepts entirely on your own. In most cases, your professor or the authors of assigned readings will already have defined and/or operationalized concepts that are important to your research. And in the event that someone hasn’t already come up with precisely the definition you need, other political scientists will in all likelihood have written enough on the topic that you’re investigating to give you some clear guidance on how to proceed. For this reason, it is always a good idea to explore what research has already been done on your topic before you begin to construct your own argument. To give you an example of the kind of “rigor” and “objectivity” political scientists aim for in their writing, let’s examine how someone might operationalize a term. Reading through this example should clarify the level of analysis and precision that you will be expected to employ in your writing. Here’s how you might define key concepts in a way that allows us to measure them. By adopting these nine criteria, we now have a definition that will allow us to measure democracy. Thus, if you want to determine whether Brazil is more democratic than Sweden, you can evaluate each country in terms of the degree to which it fulfills the above criteria. What Counts As Good Writing In Political Science? While rigor, clarity, and concision will be valued in any piece of writing in political science, knowing the kind of writing task you’ve been assigned will help you to write a good paper. Two of the most common kinds of writing assignments in political science are the research paper and the theory paper. Your instructors use research paper assignments as a means of assessing your ability to understand a complex problem in the field, to develop a perspective on this problem, and to make a persuasive argument in favor of your perspective. In order for you to successfully meet this challenge, your research paper should include the following components: (1) an introduction, (2) a problem statement, (3) a discussion of methodology, (4) a literature review, (5) a description and evaluation of your research findings, and (6) a summary of your findings. Here’s a brief description of each component. In the introduction of your research paper, you need to give the reader some basic background information on your topic that suggests why the question you are investigating is interesting and important. You will also need to provide the reader with a statement of the research problem you are attempting to address and a basic outline of your paper as a whole. The problem statement presents not only the general research problem you will address but also the hypotheses that you will consider. In the methodology section, you will explain to the reader the research methods you used to investigate your research topic and to test the hypotheses that you have formulated. For example, did you conduct interviews, use statistical analysis, rely upon previous research studies, or some combination of all of these methodological approaches? Before you can develop each of the above components of your research paper, you will need to conduct a literature review. A literature review involves reading and analyzing what other researchers have written on your topic before going on to do research of your own. There are some very pragmatic reasons for doing this work. First, as insightful as your ideas may be, someone else may have had similar ideas and have already done research to test them. By reading what they have written on your topic, you can ensure that you don’t repeat, but rather learn from, work that has already been done. Second, to demonstrate the soundness of your hypotheses and methodology, you will need to indicate how you have borrowed from and/or improved upon the ideas of others. By referring to what other researchers have found on your topic, you will have established a frame of reference that enables the reader to understand the full significance of your research results. Thus, once you have conducted your literature review, you will be in a position to present your research findings. In presenting these findings, you will need to refer back to your original hypotheses and explain the manner and degree to which your results fit with what you anticipated you would find. If you see strong support for your argument or perhaps some unexpected results that your original hypotheses cannot account for, this section is the place to convey such important information to your reader. This is also the place to suggest further lines of research that will help refine, clarify inconsistencies with, or provide additional support for your hypotheses. Finally, in the summary section of your paper, reiterate the significance of your research and your research findings and speculate upon the path that future research efforts should take. Political theory differs from other subfields in political science in that it deals primarily with historical and normative, rather than empirical, analysis. In other words, political theorists are less concerned with the scientific measurement of political phenomena than with understanding how important political ideas develop over time. And they are less concerned with evaluating how things are than in debating how they should be. A return to our democracy example will make these distinctions clearer and give you some clues about how to write well in political theory. Earlier, we talked about how to define democracy empirically so that it can be measured and tested in accordance with scientific principles. Political theorists also define democracy, but they use a different standard of measurement. Their definitions of democracy reflect their interest in political ideals—for example, liberty, equality, and citizenship—rather than scientific measurement. So, when writing about democracy from the perspective of a political theorist, you may be asked to make an argument about the proper way to define citizenship in a democratic society. Should citizens of a democratic society be expected to engage in decision-making and administration of government, or should they be satisfied with casting votes every couple of years? In order to substantiate your position on such questions, you will need to pay special attention to two interrelated components of your writing: (1) the logical consistency of your ideas and (2) the manner in which you use the arguments of other theorists to support your own. First, you need to make sure that your conclusion and all points leading up to it follow from your original premises or assumptions. If, for example, you argue that democracy is a system of government through which citizens develop their full capacities as human beings, then your notion of citizenship will somehow need to support this broad definition of democracy. A narrow view of citizenship based exclusively or primarily on voting probably will not do. Whatever you argue, however, you will need to be sure to demonstrate in your analysis that you have considered the arguments of other theorists who have written about these issues. In some cases, their arguments will provide support for your own; in others, they will raise criticisms and concerns that you will need to address if you are going to make a convincing case for your point of view. If you have used material from outside sources in your paper, be sure to cite them appropriately in your paper. In political science, writers most often use the APA or Turabian (a version of the Chicago Manual of Style) style guides when formatting references. Check with your instructor if he or she has not specified a citation style in the assignment. For more information on constructing citations, see the UNC Libraries citation tutorial. Although all assignments are different, the preceding outlines provide a clear and simple guide that should help you in writing papers in any sub-field of political science. If you find that you need more assistance than this short guide provides, use our essay writing services.